To see the word count in your document, look at the status bar at the bottom of the Word window. 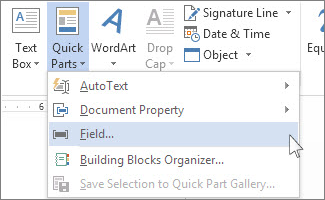 Word can insert the word count into your document and update that information as often as you want. Click Insert > Quick Parts > Field. 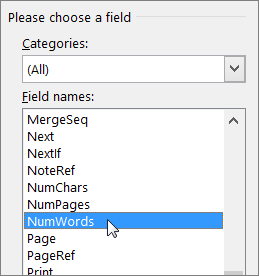 In the Field names list, click NumWords, and then click OK.
To update the information, right-click where you added the field and then choose Update Field. 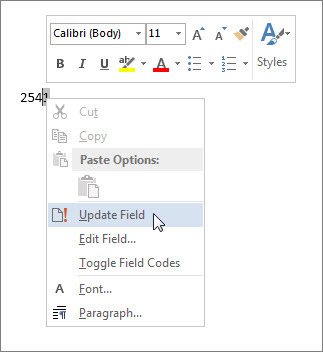 If you’d like the information to update automatically when you print, click File > Options > Display and then under Printing options select Update fields before printing.